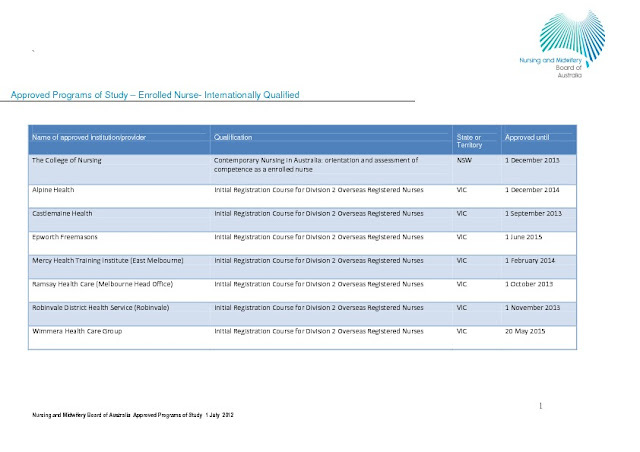 If you are enrolled nurse from overseas, find the approved study for you. This will also include all the bridging courses for enrolled nurses. You can also find this information in NMBA website. Just read the previous entry and click on the link that was provided. Meanwhile, you can click on the images below for the list of the approved courses.